Welcome to our Open House Website! Help support student scholarships and donate to our Crowdfunding Campaign! 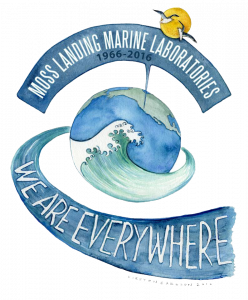 Come out and join us for insight into life at the marine station and get an interactive peek at what each lab is working on during this two-day event! Taking place all weekend, this special occasion is a family favorite with educational attractions and activities geared for all ages, yummy food and student-designed merchandise. As always, admission and parking are always FREE! We can't wait to see you there! Check out our schedule of events for the 2019 Open House! Take a sneak peak at some of the fun activities we have planned for Open House weekend! Watch puppet shows from past Open Houses! Watch the video below for a recap of last year's fun and a sneak peek into what this year might hold! Don't forget to use #MLMLOpenHouse2019 when you visit us Open House weekend!